March was a busy hiring month for trucking, as the industry added 6,700 jobs and transportation and logistics companies added 9,800 positions, according to the U.S. Labor Department monthly jobs report. For the first quarter of 2018, the trucking industry has created 18,500 new jobs, the strongest job growth for trucking in six years. In March, for-hire trucking employment stood at nearly 1.48 million, up 23,000 jobs compared to the same period in 2017. The strong economy and a shortage of drivers — a shortage that Costello warns could reach 174,000 by 2026 — is compelling fleets to push up wages. ATA said annual truck driver salaries increased between 15% and 18% from 2013 to 2018, depending on the nature of the route and type of fleet. Overall, the U.S. economy created 105,000 jobs in March, somewhat below expectations of forecasters who were expecting 185,000 jobs, and significantly lower than February, when 326,000 new jobs were added. For the sixth month in a row, the nation’s unemployment rate remained at 4.1%, and economists said they are cautiously optimistic the U.S. economy will remain strong, especially as it relates to the trucking industry. “The only cloud on the horizon is the trade skirmishes with our trading partners, and the saber rattling with China. These are two very important issues relating to trucking,” said Rajeev Dhawan, director for the Georgia State University Economic Forecasting Center in Atlanta. 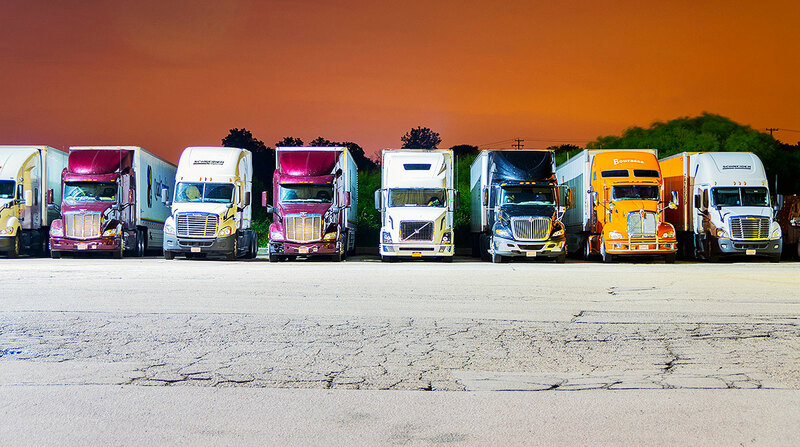 In an effort to attract and retain new employees — especially drivers — many trucking companies have announced pay increases, bonuses, and improvements in benefits; including two within the last two weeks. Bangor, Maine-based Pottle’s Transportation said it would increase pay by 9% for both per-mile and hourly drivers beginning April 1, and also launched a quarterly incentive program that rewards drivers for reaching fuel-economy and safety goals. Tulsa, Okla.-based flatbed carrier Melton Truck Lines last month said it would boost its driver pay by 2 cents per mile. It also lifted by 8 cents per mile pay for over-dimensional loads and added 6 cents per mile for hazardous materials loads and trips out of Canada. It also retained a $5,400-a-year performance bonus plan that is based on drivers’ safety and productivity. Staff Reporter Burney Simpson contributed to this report.